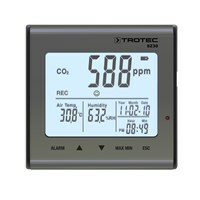 Whether air measurement in residential, office, production or storage rooms, in laboratories, agriculture or floristry - the measuring devices of Trotec provides accurate readings of temperature and relative humidity of the ambient air. 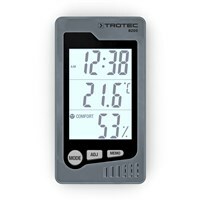 The thermohygrometer by the BC series, you can determine the climate values in different spatial zones easily. 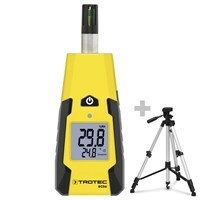 Especially for home use, these devices are extremely useful because they are easy to use, accurate display values and an excellent price-performance ratio may have. 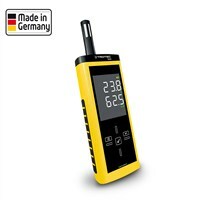 The BZ series differs in air quality measuring instruments and thermohygrometer. 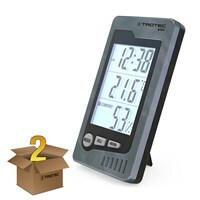 The indoor thermohygrometer BZ05 measures permanent air temperature and humidity. Air quality measurement devices BZ25 and BZ30 check the CO2 content in the air in order to eliminate the resulting fatigue preventively. In addition, time and date are shown on the display. 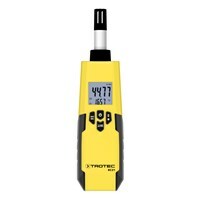 The T210 thermohygrometer and T260 infrared thermohygrometer are professional measuring instruments for the determination of relative humidity and air temperature. 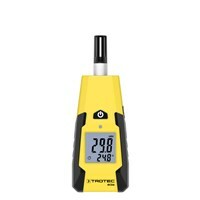 Moreover, can be determined by using the T260, the surface temperature. Both meters have a high measurement accuracy and guarantee reliable and long-term use by the quality seal "made in Germany".